Are you tired of all that cleaning that you have to do over and over again? Well, what if you could finally get your weekends back? That’s Clean Maids is here to help you do just that. By referring the best cleaners to you, we'll automate your life and give you the gift of free time, which is the single commodity we all long for the most! We are proud to call Cypress and the surrounding areas our home! We are a community built on hard work, doing the right thing, and giving a helping hand to our neighbors. These principles are the heart of our business which is why we strive to deliver customer experience of high quality . Book a cleaning and see the difference the most sought-after Houston maid cleaning services can make in your home! spotless house! Fortunately, with the right cleaning package, that can be a thing of the past! Flat rates, hourly rates, no contracts, and, best yet, cancel anytime! Windows too high? Baseboards too low? Carpets too dusty? Worry not, your cleaners do it all. Customize your cleaning and make it just right! Cypress is an awesome community and, like everyone else, we absolutely love the boardwalk and the outlet mall! Let us help you find more time for yourself by automating the cleaning tasks in your home. Life is too short to waste it scrubbing, vacuuming, and mopping. It's time to enjoy free time and have a blast with friends and family. Do you need a one-time cleaning service? Are you moving out of your home and need a thorough deep clean? Are you seeking a reliable maid service in the Woodlands TX or trustworthy and personable Katy cleaners? Do you want your house in Richmond TX to be sparkling clean always so that you can focus on what matters you most? 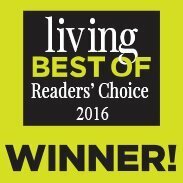 Whatever your cleaning needs, if you live in Cypress TX, look no further than That’s Clean Maids! We can match you with the most reliable cleaners who provide the most efficient house cleaning Cypress TX has to offer. Basic or deep cleaning, move in/out cleaning, carpet cleaning, tile and grout cleaning…they can do it all! What’s more, you can customize your cleaning to suit your requirements and needs! They also provides services in Sugar Land house cleaning services, maid cleaning services in Rosenberg, Pearland house cleaning services, move in cleaning services in Cinco Ranch ,Missouri City house cleaning services, etc. Book your appointment through our no-hassle, secure online booking system and enjoy the flat rates, cash-free payment, and discounts for regular customers. We charge for the service after the cleaning. Tell us about your needs and size of your Cypress TX home and pick the most suitable time and date for you. Cleaners available from 8 a.m. to 7 p.m, Monday to Saturday. Your cleaners will show up on time, with all the necessary cleaning supplies and equipment. We guarantee that you will love the way they take care of your home, leaving it squeaky clean in no time! No need to waste any more hours on cleaning. Whenever possible, we will send the same cleaner to make your home sparkle just the way you like it. The most qualified, experienced and dependable house cleaning Cypress TX professionals will take care of your home and give you more time to enjoy doing things you love. All the cleaners we work with are trained and experienced, as well as insured for your peace of mind. To make sure that the services they provide are the perfect fit for you and your home, we rigorously vet all the applicants through phone and in-person interviews, reference and background checks. We use background check software to get the most accurate report possible on all applicants. After we evaluate the applicants' expertise, experience, personality and verify personal data, we team up only with the best cleaners in the industry. Our evaluation doesn’t end there. Your opinion and happiness is our top priority and that’s why your cleaners get rated after each and every cleaning based on what you think. 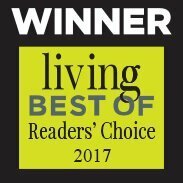 We are dedicated to giving you customer service of superior quality and enabling you to reap the benefits of personalized high-quality house cleaning in Cypress TX. To show you how important your satisfaction is to us, we stand behind every cleaning that you book through our platform with our 100% satisfaction guarantee. If you are not completely satisfied with any part of the service, please let us know and we will send the same crew back to your house to re-clean the area in question to your liking - at no additional charge. Would you prefer another cleaner to take care of your home in the future? No problem. Just call us or contact us online. We strive to resolve any issues within 48 hours. Your cleaners' job is to clean your home – your job is to sit back and enjoy it! Your home is your refuge, your most precious asset. You care about it and want to keep it beautiful. We hear you! With busy schedules and various commitments, cleaning is the last thing you want to do at the end of a long day. After all, can you remember when was the last time you’ve been to The Berry Center or the Oak Meadow Park? Allow us to help you get in touch with top-notch cleaners who will treat your home with the attention it deserves so you can sit back, relax, and enjoy all the benefits of a professional cleaning service. Thanks to That’s Clean Maids referral agency of Cypress, you can expect to receive a professional and thorough cleaning job. Satisfied customers are our top concern. We are deeply committed to you and your home and will not stop until you are absolutely satisfied with every aspect of the service! 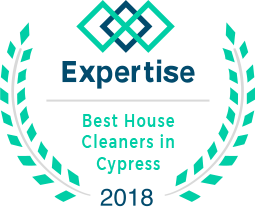 It's time to connect with experts who offer high-quality house cleaning Cypress TX residents love and rely on! Book a cleaning and see for yourself why we are the preferred cleaning referral platform in Tomball TX, Spring TX and other Cypress neighborhoods. What are your cleaning needs? Whatever they may be, we can take care of it and have experts cater to them! Life is busy, we understand. Let us take a load off of your shoulders so you can relax. Whether you need a one-time only move out cleaning, or you’d like a team of professionals to take care of your home once a week, we’ve got you covered. We have a variety of scheduling options, so hand your to-do list to us. We are here to help you find the help you need. We understand that letting people into your home requires a lot of trust. That’s why all the cleaning experts referred by That’s Clean! Maids have passed comprehensive background checks and screenings. They are also insured, so you can be absolutely certain that your home is in good hands. We value your trust, and your home’s safety is at the forefront of our minds. Take kids to school? Check. Buy birthday gift before Friday? Check. Doctor appointment? Check. Sweep, mop, wash windows, and scrub the bathtub? Aw man, do I really have to?! No! Not with That’s Clean! Maids on your side! We get it. Our schedules are full enough as it is. Household cleaning tasks shouldn’t take what little free time you have left. Allow us to match you with a professional who will do that work for you, so you and your family can attend to more important things. Convenience is key when it comes to paying for any service, so we make it as simple as possible. Make cash-free payments and manage your account online using our secure online management system, featuring SSL encryption. Receive online reminders that alert you when your payment is due. Rest assured that your information will not be released to any third parties, and that your payments can be made safely. 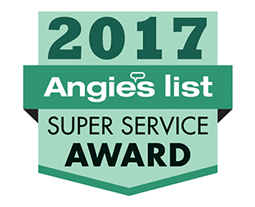 The professional team of cleaning experts we'll send you way takes pride in their highly-rated customer service abilities. To them and to us, satisfied customers are the #1 priority. They will go out of their way to get the job done right. They will do everything in their power to make you happy with the end-result. What's more, we are confident that you will be pleased with the results! After the job has been done, you have the opportunity to rate our service using an automated email survey. With any partnership, communication is of utmost importance. When you partner with That’s Clean Maids of Cypress, we will listen to your household cleaning needs. Send us an email or call us on the phone. Also, you will receive convenient automated reminders before your scheduled cleaning appointments take place. So don’t wait, contact us today! We can’t wait to hear from you!